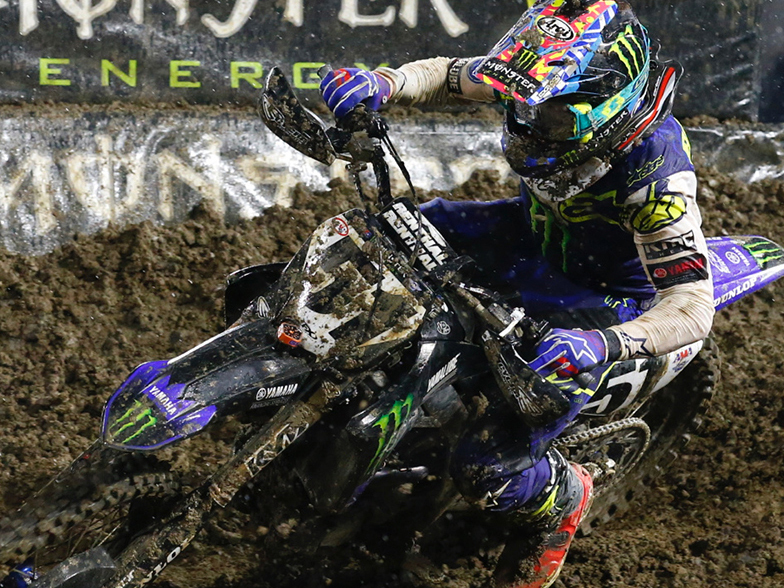 Justin Barcia fired the first shot of the 2019 Monster Energy AMA Supercross season, taking a thrilling victory aboard the Monster Energy Yamaha Factory Racing Team YZ450F at Anaheim 1. It was a perfect night for Barcia, taking both Heat and main event wins. The win didn’t come easy either. In addition to the stacked field in the premier class, Mother Nature threw in an extra challenge, dumping more and more water on the track. Barcia put his head down though, and knocked down the laps to take his first 450SX win since Seattle Supercross 2013. Adding to an already stellar night for Yamaha as a whole, Barcia’s teammate Aaron Plessinger had an impressive debut. The rookie was able to battle with the best, finishing third in his heat and sixth in the main event. The Monster Energy Yamaha Factory Racing Team heads to Glendale, Arizona, next Saturday, January 12, for Round 2 of the Monster Energy AMA Supercross Championship at State Farm Stadium. "Anaheim 1 was an awesome day. I had a lot of fun in practice, then going into the heat race it started to sprinkling a little. I didn’t get the best start but made some good passes and got into the lead and won my heat race which was awesome, and it felt really good to get that first one out of the way at the first race. The main event it was really pouring down. It was looking tricky watching the 250 start so I definitely got a little excited and nervous and all those feelings you get at the first race. I got off to a pretty decent start and worked my way up to third by a little over half the race. I played it smart and tried to make no mistakes. One of the guys went down in front of me and then I was able to charge harder and catch the leader, make the pass and ride a smooth race to the win. For me this is incredible, I haven’t won a 450 race in over six years so it's a pretty awesome feeling. I couldn’t be much happier, I'm really excited to go to Phoenix. I just want to stay, smart, smooth, fast, consistent and focus on the championship plate."